Like many of our fans, we believe that everyone should stand for the National Anthem. It is an important moment in our game. We want to honor our flag and our country, and our fans expect that of us. We also care deeply about our players and respect their opinions and concerns about critical social issues. 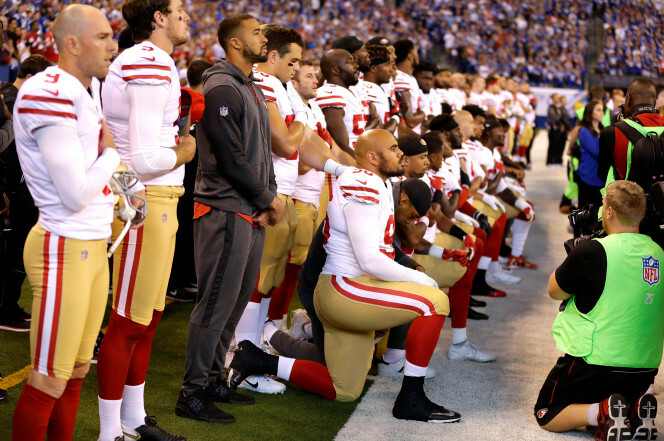 The controversy over the Anthem is a barrier to having honest conversations and making real progress on the underlying issues. We need to move past this controversy, and we want to do that together with our players. Hear that America? The NFL cares more about their players than they do their PAYING fans. You morons. That was not a statement saying the players would stand. 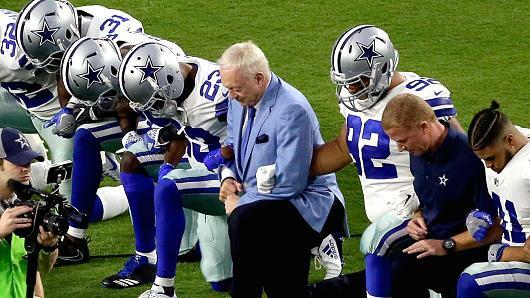 I give you Exhibit B… Reuters is now reporting that the NFL does not plan on forcing players to stand for the National Anthem. Instead, they will focus on an alternate solution during meetings with team owners Tuesday and Wednesday. I’m sure it will not be something that any of us like. The problem is they are working with their union, the NFLPA. They are heavily connected to leftists and racists. What do you expect from communists? “(Goodell) has a plan that he is going to present to owners about how to use our platform to both raise awareness and make progress on issues of social justice and equality in this country.